The city of Serres is located in the Greek region of Macedonia and is the capital of Serres prefecture and one of the most significant greek cities of the Macedonian Region. 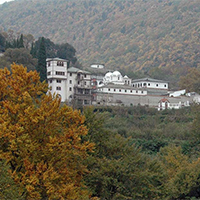 Serres is situated among the mountains “Vrontous” and “Menoikio” therefore the city offers great landscape mountainous views. The city and its greater area have beautiful natural landscapes to visit including mountains, forests, rivers and a ski center. The population of the City is about 100.000-120.000 including the suburbs and nearby villages. The city has about 20.000 students who study at the higher education institute of Serres that creates a very vibrant environment and nightlife in Serres especially during the weekends. The city of Serres is ideal for visitors who look for cozy cafes, bars and night clubs as there are numerous ones to be offered. Serres is also ideal for shopping as there are a lot of shops offering a wide range of products from fashion design clothes to local gastronomical specialities and traditional taverns with mouthwatering dishes.